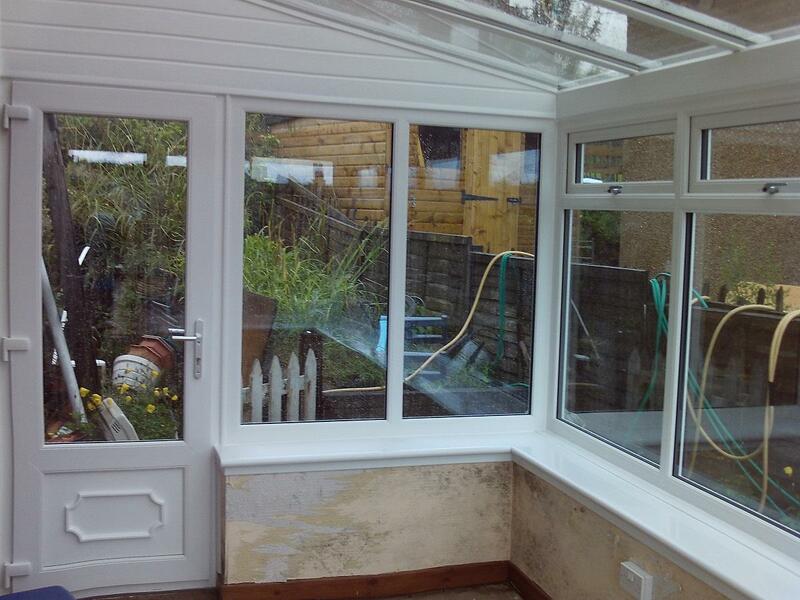 Fitted a lovely Lean to Conservatory/Sun Room great for sitting in to enjoy the summer! Manufactured, supplied and fitted a simple Conservatory in White Rustique Ovolo Pvc-u, with top opening hopper casement windows and a 3/4 glass door with CP1 panel all with satin silver furniture, clear glazing with Low e coating, argon filled cavity with warm edge spacer bar, energy efficient windows. 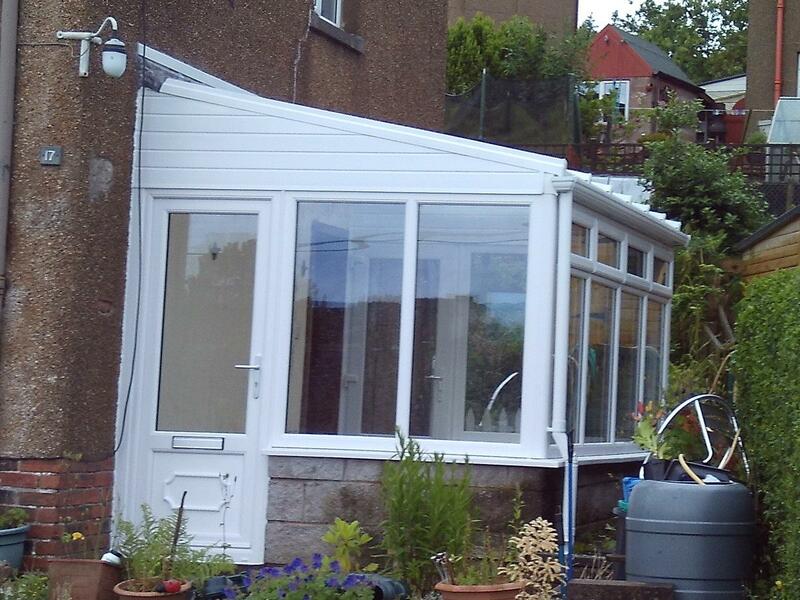 Glazed roof and fully finished externally with box guttering and internally with white trims and a bullnosed cill.